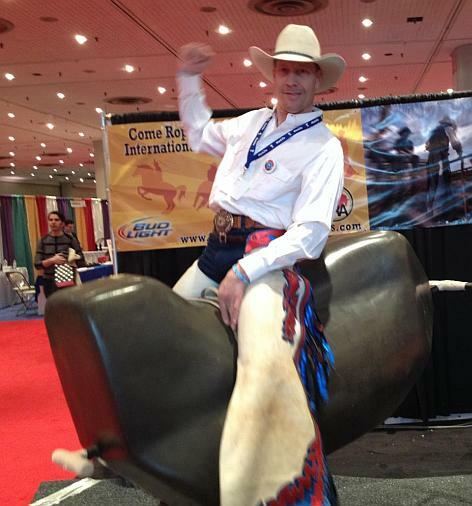 Brutus, the IGRA manual bucking bull, spent last weekend in NYC "bucking around" during Black Party Weekend. 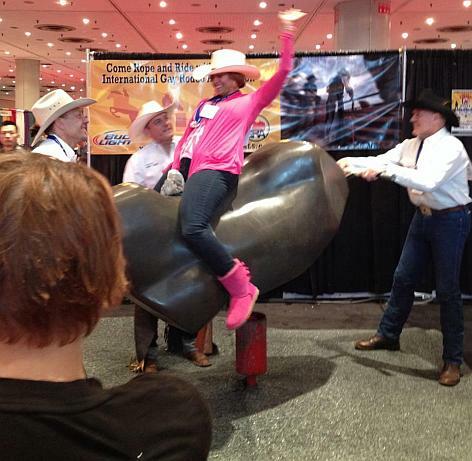 A contingent of IGRA cowboys supplied the brute force for Brutus, spending the weekend of March 22-23 at the 21st GLBT Expo at New York's Javits Center - tossing wanna-be cowboys and cowgirls around in promotion of the 2014 IGRA rodeo season. Positioned in the most prime spot at the Expo, IGRA stood alongside it's long-time sponsor, Bud Light. The muscle behind Brutus' successful showing included ASGRA members Oscar Mocelo, Lance Haverly, Robert Bowden and Sonny Koerner. 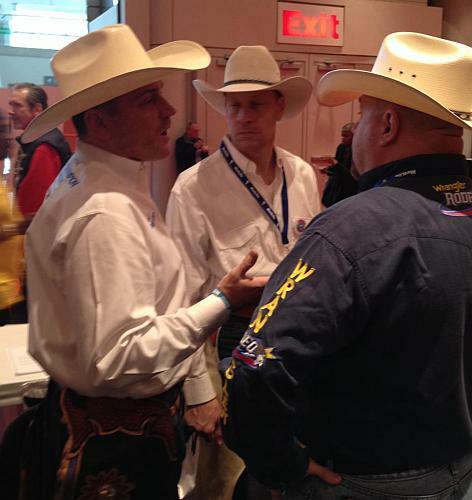 IGRA President, Ed Barry, led the team that also included IGRA members Mark Larson and AJ Vawter. With our new position at the front of the Expo, the IGRA booth saw long waiting lines for a buck with ol' Brutus - exposure was at it's peak, and the team provided a rodeo schedule to hundreds of Expo attendees. Many of the locals that passed thru the IGRA booth expressed much interest in ASGRA, and were happy to learn that a regional association had them covered. 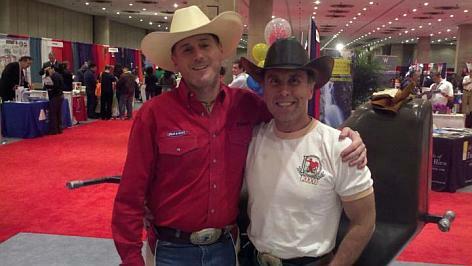 All-in-all, the weekend was one big "bucking" success - Brutus worked his magic, and IGRA/ASGRA garnered much exposure at what is undoubtedly one of the most highly acclaimed GLBT Business events in the country. 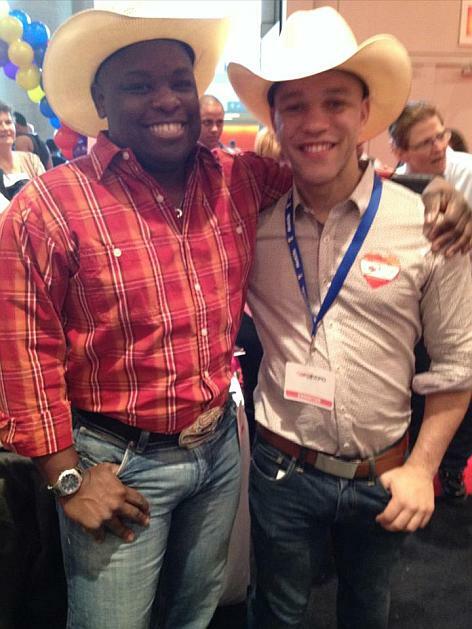 Make plans to come join us next year for the 22nd Annual GLBT Expo in NYC!